Shirts With Random Triangles: Georgia adds WR prospect Shaquery Wilson to its 2015 recruiting class. 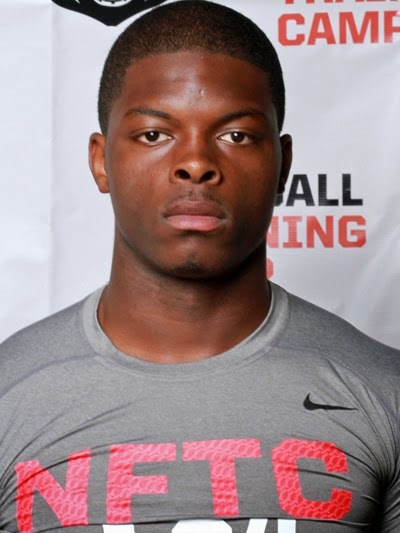 Georgia adds WR prospect Shaquery Wilson to its 2015 recruiting class. Georgia's annual Dawg Night camp for prospects doesn't start until tonight, but its already making news on the recruiting front this afternoon. Miami, Fl high school rising senior wide receiver wide receiver Shaquery Wilson has announced his commitment to the Bulldogs' 2015 recruiting class. Wilson is rated as a four-star wide receiver. He is ranked 61st among 2015 WR prospects. He is ranked 71st among 2015 prospects in the state of Florida, and 520th among all 2015 prospects in the U.S.
Wilson attends Coral Gables Senior High School in Miami, Fl. He stands 6'3, and weighs 190 pounds. With the addition of Wilson, Georgia now has 14 members in its 2015 recruiting class.